Nothing captures the imagination quite like a mysterious creature lurking in the darkest corners of Earth – which is probably why the megalodon gets so much attention. So much, in fact, that this prehistoric creature that roamed the Earth millions of years ago is the subject of a new movie called The Meg, in which explorers unwittingly reawaken the beast. Cue a giant mega shark causing havoc. But could this beast really still exist today, causing us to call up action hero Jason Statham to save us all? Or is such an idea purely a work of fiction? 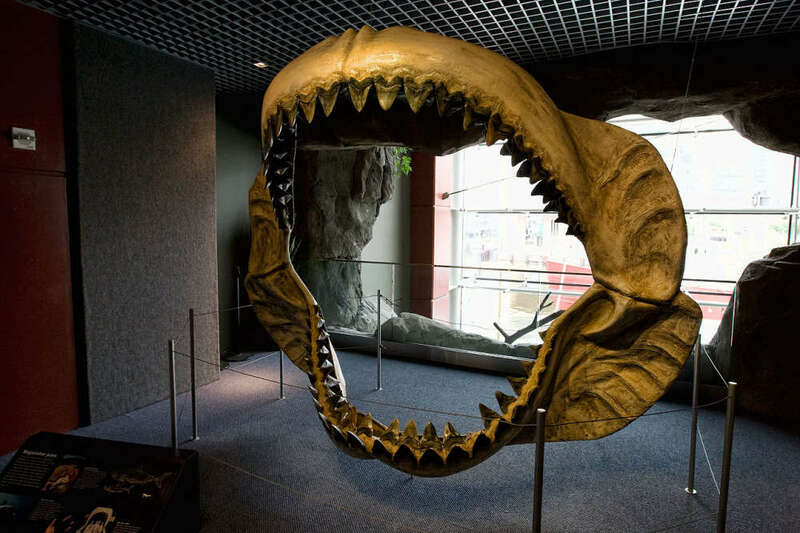 First, let’s take a look at megalodon (Otodus megalodon) itself. The creature swam in Earth’s seas from about 16 to 1.6 million years ago, from the Early Miocene to the end of the Pliocene, when it disappears from the fossil record. Megalodon is the largest shark ever to swim in Earth’s seas, with a bite more powerful than a T. rex. The creature is thought to have measured up to a whopping 18 meters (60 feet) in length, with teeth that were up to 18 centimeters (7 inches) long. Some estimates, however, think it could have stretched to 25 meters (80 feet), four times the length of modern great white sharks. 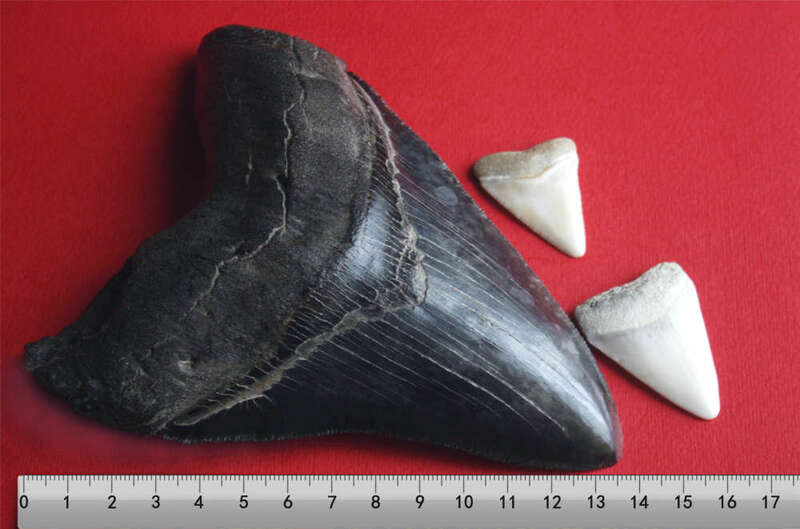 We’ve only ever found the teeth of megalodons (their jaws contained an impressive 276), from which we’ve been able to piece together their history. It appears the animal chose to hunt whales, and with no known predators, it was the true king of the seas. It also snacked on other animals like seals, tending to attack near the surface. Ultimately, perhaps due to a lack of prey or a diminishing food supply, it went extinct. That hasn’t stopped plenty of people from wondering if it could still exist at the deepest points at the bottom of Earth’s oceans. The evidence isn’t in favor of that theory, however. For one thing, we have found no fossils of this creature younger than about 2 million years. Shark constantly shed their teeth, so if it was still around, we would almost certainly find some washed up on shores or left in their prey. People sometimes point to the rediscovery of the coelacanth as a reason that Megalodon could still exist. The coelacanth was a fish thought to have gone extinct about 65 million years ago, but one was found in 1938 and later 1952. However, these small fish live at great depths, and would much more easily evade our sight than a megalodon. We also think that megalodons used to prefer shallow, warm water and use coasts as nursing grounds. It seems unlikely that they would suddenly shift to become deep-sea dwellers for unknown reasons. A study back in 2014 from the University of Zurich actually calculated the probability that the animal still existed, notes Live Science, suggesting just a 1 percent chance that would be true. The myth of the megalodon still being alive hasn’t been helped by the Discovery Channel’s “Shark Week”. In 2013, they ran an episode titled “Megalodon: The Monster Shark Lives,” followed by “Megalodon: The New Evidence”, mockumentaries suggesting the creature did still exist. The episode in 2013 caused such a furor that Discovery was even forced to release a statement defending their decision to air them. “The stories have been out there for years and with 95 percent of the ocean unexplored, who really knows?” they said. That didn’t go down too well either. Speaking to Discover Magazine that same year, numerous scientists noted how there was no chance the animal did still exist today. In fact, it seems many had not even paid much attention to the animal until Discovery ran its episodes. “There’s about as much scientific controversy about the possibility of Megalodons lurking in today’s oceans as there is about mermaids. None,” said Daniel Holstein from the University of Miami’s Rosenstiel School of Marine and Atmospheric Science. So, sadly, there’s simply no plausible way that megalodon still exists. We’ve seen no fossils of one for 2 million years, they couldn’t live at deep depths based on what we know, and there’s certainly no direct evidence for them still existing. The Meg might be entertaining (or not), but it’s very much the realm of science fiction we’re afraid.